When installed the SoClean's Cartridge Filter converts activated oxygen back to regular oxygen as it leaves the SoClean device. The Check Valve prevents water backflow from your CPAP humidifier into the SoClean 2 device or CPAP electronics. USAGE: Both the Cartridge Filter and the Check Valve must be in place at all times when using the SoClean 2 CPAP Cleaner & Sanitizer. For best results both items should be changed on average every 6 months. The SoClean 2 device will alert you when it is time to change the filter. 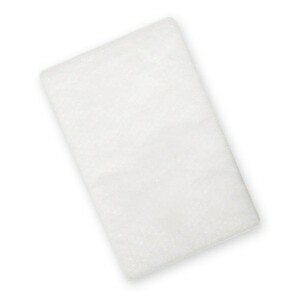 This package is designed for use with all SoClean machines that have 1200SC in the serial number. 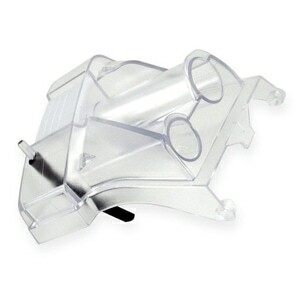 I purchased my SoClean2 CPAP cleaner from DirectHomeMedical.com and was extremely pleased with the pricing. When I looked on their website, I also noted that their price for the replacement Cartridge Filter Kit with Check Valve was also the best that I found from all companies. I have been very pleased with their service and pricing and their shipping costs. SoClean 2 machine is an absolutely necessity for those who depend on the CPAP device to make your life safer and healthier. 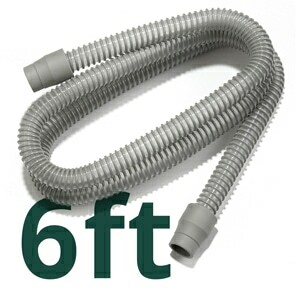 The time savings is great but more importantly is the knowledge that the device itself will aid in providing a cleaner CPAP machine that will not cause any respiratory issues while using the CPAP device itself. This reassurance is very comforting. The timeliness and easy process of ordering the replacement cartridge is excellent as has been all the services provided by Direct Home Medical. Would I recommend the SoClean 2. Yes as I am actually purchasing another one for a family member today. Order process works good and arrives in a timely manner. does the job with easy-peasy ordering. Thanks. Second time I’ve ordered, quick deliver and averaged priced. Reputable seller. Will continue to buy. Fast shipping and good rewards and discounts. Easy to install, works as advertised. Easy order and rapid shipment of a stock item. Easy purchase. Promptly shipped. Fair price. Good retailer. 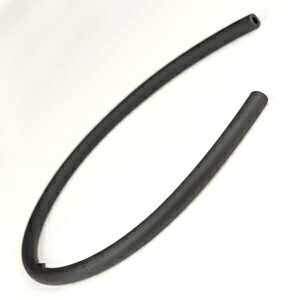 The service has always been quick and I have not had a problem with any orders. Is as described and arrived quickly. Need filter for so clean maintenance. It was smooth, fast and convenient. Further the items were as advertised and are working fine. Thanks. Good pricing & fast shipping. Highly recommend. Thanks. Easy to order, price is right shipping included came quickly. What else could I want? Works, Need it, but expensive. Works great and easy to purchase. Just waaaaay too expensive for what it is. What a racket. All equipment arrive in excellent condition and when promised. Outstanding service, speedy service in getting items ordered. Speedy shipment and excellent packaging of items. I appreciate the fast delivery online chat feature of your service. I accidently became a member of Amazon Prime and was so surprised when my order was here so quickly. I always like to have the cartridge and check valve on hand because you never know when you have used up your old one. The sanitizers are an absolute necessity for me as I use them at least once a night for cleaning the soft parts of my mask and also the fittings in and on my C.P.A.P. machine. I ran out of them once, but will never run out again. Happy to be a Prime Member and Very happy with Direct Home Medical. All Happy accidents ! 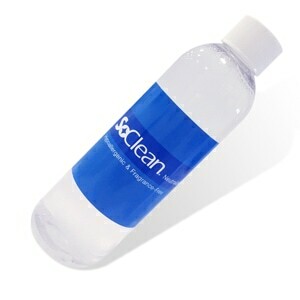 Allows Soclean 2 to function. Works as directed and is easy to replace. My machine tells me when it needs a new filter by flashing lights. My only complaint is the cost. I feel it is too high. I love the So-Clean device, but I wonder about the kit. I never see any liquid in the old check valve but I put a new one on every time. I would like to think I could replace the activated charcoal in the old filter and make the system last much longer. The best company for health related supplies! I’m so glad I found Direct Home Medical. They are super! It arrived as scheduled. It seems to work fine, but the price seems about double what it should be. DHM Notes: Hello, At DirectHomeMedical we work hard to give you the best products at the best prices every day of the year. If, within 7 days of your purchase you find, and we can verify, a lower price on the same item online, let us know and we will refund the difference back to your original payment account. This offer excludes all closeout items and auction sites. Take care! I received exactly what I ordered in a very timely fashion. Great! Arrived so quickly. thanks. It was easy to find the correct filter kit on the website and it arrived promptly. The kit fit perfectly and has been working great! The SoClean2 displays a message when it is time to replace my filters. It is very simple to replace them, and then I know that I am breathing the purest air possible! Their products and support are what keeps me coming back. Thanks much! It was easy to install although the original check valve was a bit hard to remove. Even though you get reminded, it would be nice to have a label to remind me that the time to change is getting close. Then I can make sure I have a replacement ready. Like a breath of fresh air to finally work with such a reliable service. Easy to install, your machine tells you when. Lasts about 6 months . Love this machine, my mask feels clean every night.